Innotech values the time we spend with our Distributors (and their clients) as it enables us to understand their local market pressures, and gain valuable feedback about ourselves, as well as challenges they may have. Listening to our clients and providing solutions is a reason why Innotech is a global success, and the products we develop meet the specific needs in so many markets. Bonlec Controls has been our exclusive North Queensland Innotech Distributor since the 1980s and both companies have grown together, and are renowned for the quality of engineering and support provided. 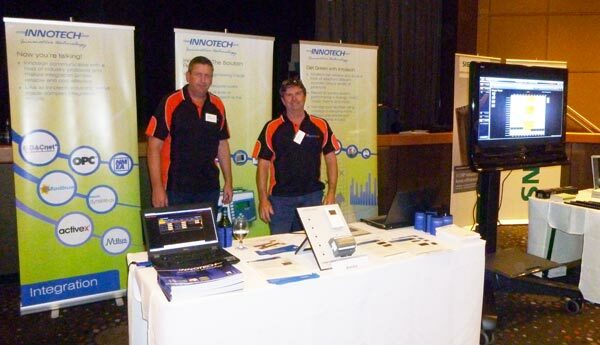 Many companies and suppliers have come and gone in North Queensland, but Innotech and Bonlec have stayed strong and flourished. Bonlec now service areas from Mackay north, with offices located in Townsville (HQ), Cairns and Mackay. 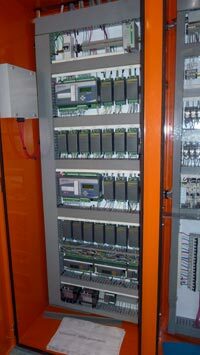 Bonlec Controls are a Control Supplier, as well as a Mechanical Electrical Installer, so they can provide services for the supply, commissioning and service of controls, or the complete installation as well, with various awards for the quality of their workmanship. Bonlec’s in-house capabilities make them extremely self-reliant, and they are consistently one of our leading Distributors globally, completing all required and optional Innotech training to the highest level. Many clients use Bonlec to service and maintain their Innotech systems directly, as they price competitively, include any software upgrades, and they have peace of mind that Innotech trained personnel are servicing their equipment directly. Ask Bonlec about an extended manufacturers warranty on any new projects. I was fortunate to visit one of Bonlec's recent projects at the Cleveland Youth Detention Centre (CYDC). This was a significant project with many challenges, and it was great to see the system in operation. Some of the system engineering included utilising the client’s I.T. Infrastructure, and sharing site-wide data globally at Ethernet speeds, along with various BACnet integration and complex algorithms to predict chilled water storage requirements, based on previous usage and ambient conditions. The quality of the installation by EFS and fail-safe engineering from Bonlec is a testament to both companies, and a credit to the Innotech brand. The evening was extremely beneficial, as it is valuable for networking, as well as seeing new products and creating opportunities with other suppliers. I am still amazed to be asked (many times) as to whether the Innotech product was truly “Australian Made”…… by our competitors. For those unaware, yes the product is designed and manufactured in Brisbane, QLD, Australia, it is not imported and badged (Our founder and Director Steve Miranda would have heart palpitations to hear it). Overall the evening was a great success and AIRAH organisers did a great job in hosting the event. I was very pleased to attend the annual North Queensland Industry Golf Day (which was not an accident). This event not only supports the North Queensland HVAC&R industry, but also charities in need of assistance. The event was attended by over 150 people representing refrigeration and electrical technicians, contractors, consultants, suppliers and local businesses. This year donations from raffles and competitions throughout the day went to raise over $4.5K to support the awareness and support for Prostate Cancer. Sponsorship of each the 18 holes, and the kind donations of prizes from the industry and local businesses, provides a fantastic day to get all fields of the HVAC&R sector in North Queensland together, to network, win some prizes, have a few relaxed drinks, and support a great cause...oh and of course to hit a little ball with a funny shaped stick. I must say I am extremely grateful that we have teams, and it is Ambrose golf (where the closest ball for the team is the one used for the next shot) My goal was to at least use one of my shots by the end of the day, however by the 18th hole, and a few beers, I think the quality of the golf evened out, and us novices could hold our own, or no-one noticed or cared anymore anyway. 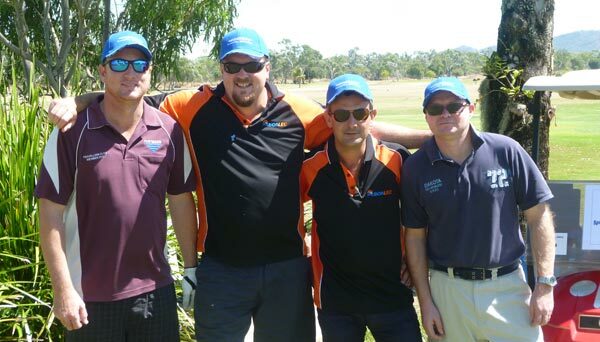 I know the organisers appreciate the support, and they hope even more suppliers and businesses from industry get involved to further increase the numbers both displaying and supporting the AIRAH Trade Night and Industry Golf Day in North Queensland. The efforts of the organisers and supporters are extremely appreciated to the people/companies in the region, and its a great opportunity to catch up with so many people from a multitude of areas. Congratulations North Queensland for hosting and supporting these successful events. I know Bonlec and Innotech are very proud to be a sponsor.